Sprinkled amidst the urban jungle of Orlando are numerous restaurants to please those seeking to dine outside the box. If you are amongst this adventurous underground dining crowd, consider visiting one or more of the restaurants offering alligator as a star menu item. 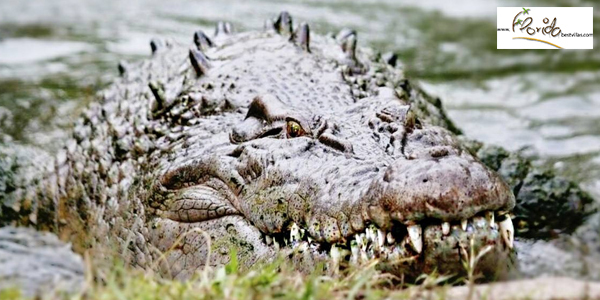 Alligator has a flavor similar to, you guessed it, chicken and the consistency of pork. This exotic protein can be interpreted in various ways to please and delight even the pickiest of eaters. Take a stroll from your vacation villa and explore the flavors of the south with some authentic and unique cuisine. Inside Gatorland theme park the smell of fried food beckons guests through the doors of Pearl’s Smokehouse. This vintage treasure has been around since 1991 and has established itself as a staple for American foods. After working up an appetite on the zip line and other attractions, Pearl’s is the place for classic comfort food like burgers, hotdogs, pulled pork, enormous turkey legs, and most notably, delicious gator. Named after the founder’s wife, Pearl Godwin, hungry eaters travel for miles to grab a taste of their signature gator nuggets, which are served hot and crispy to hungry visitors. 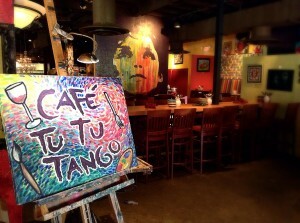 Just minutes away from the Orlando metro, Café Tu Tu Tango offers a variety of gluten-free and vegetarian options along with their classic menu. For the adventurous eater, two offerings of alligator are on the menu to tantalize your taste buds. Their Florida Gator Dip appetizer includes gator that has been braised with house pimiento and fresh key lime, or their Spiced Alligator Bites entrée comes with local Florida gator and a zesty key lime mustard for dipping. If gator isn’t your game on this trip, feel free to sample from their cornucopia of fusion dishes that are sure to please even the pickiest eater. Including virtually every type of meat on its barbecue-themed menu, Bubbalou’s Bodacious BBQ on Kirkman Road requires a large appetite and a zest for the unique. Start with Mac and Cheese Bites, Fried Okra, and their Gator Bites for an authentic southern meal that is both filling and delicious. Be sure to save room for a sweet treat, because their delicious homemade brownies and assorted cupcakes are worth every delicious calorie. If a more sophisticated ambiance is what you seek, A Land Remembered Restaurant features a classic menu using prime cuts from both land and sea. With photo-worthy presentation and a penchant for fine ingredients, this elegant eatery adds flair to classic dishes such as oysters, scallops, and lobster bisque. If gator is your mission, look no further than their delicious and hearty Gator Creek Stew with white beans and greens. With diced bits to utilize the gator’s texture to the fullest, this chowder-like stew is a popular favorite. Whether you are traveling with family or your most fashionable friends, venture into the unknown by dining on the unusual and exotic protein that is alligator. Even those who just want a sample can split a side of one of many delectable dishes that is sure to please. For the freshest ingredients and unique interpretations, Orlando is sure to please by just taking a few steps outside of your vacation villa. This entry was posted in Orlando, Restaurants and tagged alligator, chicken, Florida, florida best villas, FloridaBestVillas, food, foodies, gator, gatorland, nuggets, orlando, park, restaurants. Bookmark the permalink.